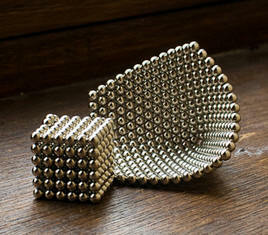 The Neocube contains 216 high strength rare earth magnetic balls that can form millions of puzzle configurations. Each ball is made from 3000 gauss neodyminium, 5 MM diameter, with a nickel plating. Design one configuration then design an entirely different configuration. 216 High Strength Magnetic Balls, 5 MM Dia. Include the cost of the bracelet and the $5 shipping & Handling. California residents add 7.75% sales tax or call and provide resale license. 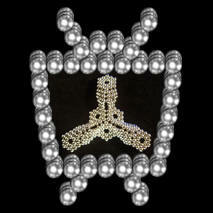 The Magnetic Hematite Shoppe is a division of OPB Entertainment.